The home heating and hot water heating industry has changed greatly in the past few decades. From the advent of oil heating to the current green-technologies crazy, homeowners are never short of options. 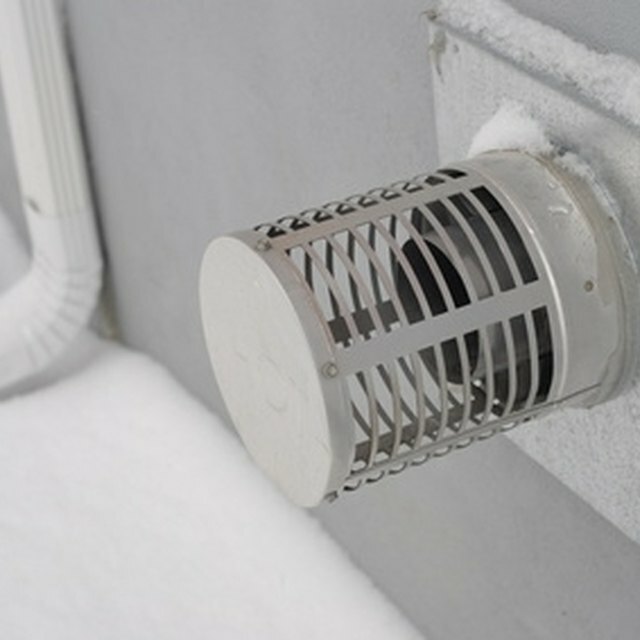 "The Hardy" outdoor furnace is a wood-burning heater that connects to your existing duct or hyrdonic system to heat your home and hot water. It's wood-powered, but is placed a few feet from your home to prevent smoke, ash, and wood from getting indoors. The Hardy wood stove offers a more natural alternative to an oil-burning furnace. Decide on a location for your heater. It's recommended that the Hardy be at least 10 feet from your home, but no more than 100 feet. Place or pour a concrete slab. The slab should be at least 48 inches by 48 inches. Place the Hardy wood stove on the concrete pad, making sure to line up the back of the water tank flush with the rear edge of the concrete. This will allow for the insulated pipe for electrical and water to run straight from the unit into the ground. Remove the outside cover. Lift the outside cover from the water tank on all four corners. This will give easy access to the plumbing and electrical hookups. Remove the hull by unscrewing the single screw holding the rear door panel in place. Lift up on the door handle and remove the door. Use the 5/16-inch wrench to remove the eight screws below the back door (four on either side). Once the door is removed, you can access plumbing and electrical connections. Open the stove and remove all of the contents except for two I-beams and three metal grates. Place the I-beams on the edge (so the I-beams are taller than wide) and place them against the tabs on either side of the unit. Place the grates on top of the I-beams side-to-side, so that the slats in the grates sit perpendicular to the I-beams. Research your area to learn about the frost line. You must dig a trench from your home to the heater, and you must bury the water and electrical lines below the frost line to prevent the water from freezing in winter. Dig a trench. The trench should be at least four inches wide to contain watertight piping that will house the electrical supply line, two water pipes, and a thermostat wire. The trench will end at the rear of the wood stove, flush to the cement pad. Hire an electrician to hook up power to the furnace. According to the Hardy instruction manual, "the unit must be wired by a qualified electrician in accordance with the National Electric Code." Connect the pipe which will supply water to the heating system. This pipe should be designed for hot water usage, meaning it should be made of copper or a similar material. The pipe connects to the bottom of the system pump, which is located on the right side of the heater. Connect the return water pipe. It attaches to the 3/4-inch brass tee, which can be found at the bottom left-hand side of the heater. Replace the water tank cover and then slide the hull back on to the heater. Ensure that both the smoke stack opening and the condenser tank extend beyond the hull. Use the included silicon beading to fill any space left between the tank and stack opening and the hull. Use the included insulation to fill the gap between the firebox and the ash doors, and hold the insulation in place with the included piece of stainless steel. Attach the smoke stack (a three-foot piece of pipe included with the heater). Slide the trim of the smoke stack down until it meets the outside cover of the smoke stack pipe. Do the same with the included condenser stack. Fill the heater with water through the condenser stack opening. There is a low-water switch at the back of the heater, which will switch off once you've put enough water into the heater. The heater must be filled with water before starting a fire! Contact a qualified electrician before connecting electricity to the unit. "Outside Wood Burning Heater" Manual, Hardy Manufacturing Company, Inc.
How Do I Install a Selkirk Metal Chimney?